I am a six letter word; made up of only vowels and I refer to a musical term. What am I? 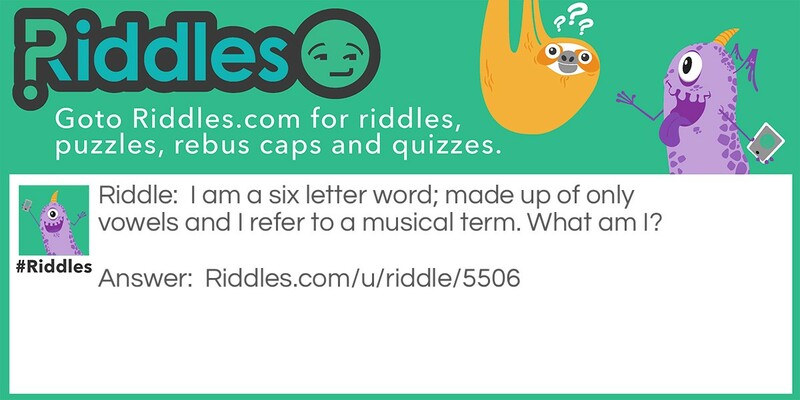 A Word 2 Riddle Meme with riddle and answer page link.